THE DAIL’S PUBLIC Accounts Committee has been told that it can’t force two former Rehab CEOs to appear before it. 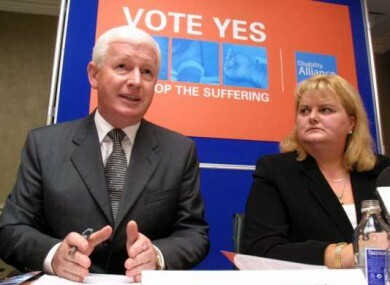 The Committee on Procedure and Privileges today declined to give PAC permission to compel Angela Kerins and Frank Flannery to attend a public hearing. The PAC had argued that Rehab was using public money to subsidise itself. Both Flannery and Kerins refused to appear before the committee in April when TDs wanted to question them over their use of public funds. However, the CPP did agree to give PAC the power to force three other individuals to appear in relation to a separate investigation over a HSE training fund. Email “PAC told they can't force Flannery and Kerins to come before it”. Feedback on “PAC told they can't force Flannery and Kerins to come before it”.